Home /Skin Care/Home Made Facials and Regular Skin Care Products Make You Ageless! Wrinkle creams, moisturizing lotions, mud wraps, bleaching products, and many of other such products have been known over the years to make people part with millions of their hard earned dollars annually all in a bid to shall I say reverse time or simply try to cheat it. It would be a monumental task to try to catalog these products. Some people buy aging skin care products while others make their own using herbal recipes. Whether one buys of produces, the underlying issues remain the same if the desired result is to be achieved. Products made from conventionally produced ingredients can have a negative environmental impact. The manufacturing of chemical-heavy health and beauty products puts those chemicals, and many more, into the air and water, and even more go down your drain in your own home. When ingredients for natural health and beauty products are farmed and manufactured organically, fewer chemicals are put into the air and water. Always prefer natural skin care products. Chemicals, artificial colors, and fillers in conventional skin care products and makeup can cause redness, irritation, and breakouts. Many people are even allergic to chemicals commonly found in conventionally produced products. Natural makeup, skin care products, and body products work with your skin instead of against it. Protecting your skin while out in the sun is one of the major ways to reduce damage and aging. This issue can not be over emphasized. It is however unfortunate that people still lay outside sunbathing without protection. It is of the utmost importance to wear a sunscreen to prevent premature wrinkles, skin cancer, age spots, blotches, leathery lined skin, and various unsightly growths. Avoiding the sun would greatly help people retain younger, healthier looking skin because the elastin in the skin breaks downs due to ultraviolet light exposure causing sagging. skin that has no elasticity, takes longer to heal, and gets bruised more easily. It might not however be possible to avoid the sun completely since we must go about our daily activities and they can’t all be indoors. We are simply then left with the option of protecting our skin with sunscreen products. It is best to start an aging skin care routine at an early age because damage from the sun may not show up visibly until you are older and you don’t even want it to show up so you take care of it before it does. 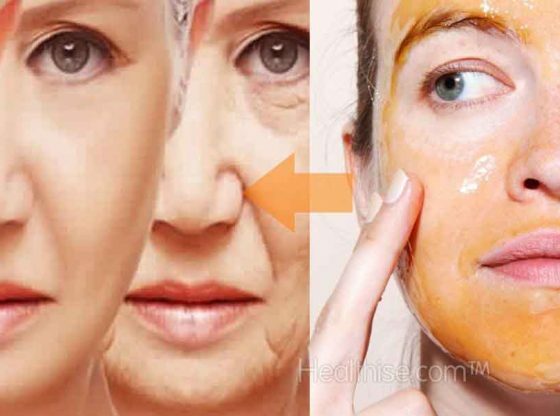 A dirty and oily skin is certainly a step in the wrong direction as far as skin care is concerned this makes using a good face cleanser one of the most important aging skin care steps is. Let me state this very clearly here. Never use a bar of soap on your skin from the neck up because this dries out your skin. Rather use a face cleanser made specifically for your skin type (hey! have I mentioned you need to know you skin type? You do! ). Most cleansers dissolve makeup, dirt, oil, and wash them away so using the right cleanser once in the evening should be sufficient. In your aging skin care program, always use lukewarm water on your face. Please, never hot or cold water. Use warm water whether in the morning or in the evening after removing your make up to clean your face with your cleanser Whether to have a toner as part of your aging skin care program is your personal decision. Some skincare experts believe it removes any dirt and traces of makeup and oil while others believe that using the proper cleanser does the same thing making a toner unnecessary. The decision is yours. Check the result you get from your cleanser and know if you need a toner or not. To help brighten your complexion and keep your skin glowing and looking younger, Weekly exfoliating as part of your aging skin care program which helps remove dead skin cells from the top layer, Is a great addition. Some people however prefer a monthly chemical peel which gives them almost instantaneous aging skin care results. Everyone can benefit from this procedure as there are also over the counter exfoliating peels available to try at home. The quality of care we give to our skin makes the difference between healthy looking skin and prematurely aged skin therefore always use a moisturizer whether your skin is oily, dry, or normal unless you suffer from acne. AHAs are found in a number of foods including milk, sugar, lemon juice, pineapple, vinegar, and tomato juice….to name a few. An AHA type homemade facial cleanser is also helpful for oil skin because it helps clear and unclog pores and blackheads. Mix 3 tablespoons of whole milk and 1 full tablespoon of sugar into a paste. Then scrub this all over your face and neck and rinse well. Take 2 tablespoons of baking soda along with either lemon juice or tomato juice. If you have lots of blotches and red spots, use the lemon juice. Mix enough juice so that you can form a thick paste. Rub this paste well all over your face including your nose and cheek area where you tend to have the most oil or blackheads and whiteheads. Recipe for normal skin can include any type of AHA you have in the house, just as long as you add a mild abrasive like sugar, oatmeal, baking soda or crush almonds. Sources of AHA include: milk (low fat or whole), lemons, oranges, pineapples, vinegar, and yogurt.